Sequelism: Possible, Probable, or Preferable Futuresis a project that looks into the future and at that which is yet to happen. It considers how art and the inexact arena of futurology might be utilised as a means to better comprehend, rethink, obscure, or even colonise the present. Knowledge of current and historical events often plays a role in collective foresight or prognosis of change that is yet to take place. In a similar fashion, futurology could be said to deal with memory in reverse. The project seeks to investigate how prospective visions might be generated for vastly differing reasons, offering great idealism on the one hand, or harnessing political and societal anxiety on the other. The future is commonly manifested in popular cultural forms, including science fiction, yet how might we look beyond the present without recourse to established genres? To what extent does strategic foresight affect our understanding of the 'now' or the 'when'? Is the future a culturally specific phenomenon that is inherently 'Western' in its own gaze and orientation? And just how accurate can we be when imagining the future? TheSequelism project addresses issues and questions such as these. Disputing illustrative organisation around a predetermined thesis, the project itself invites doubt, speculation and to-be-determined outcomes. Sequelism Part 3 has oriented itself towards the enigmatic and the impossibility of achieving such foresight.Victor Man's sculptures are extremely transcendental and idiosyncratic. Resembling the aftermath of rituals by historical figures that attempted to predict the future, such as the soothsayer, the works densely obscure the possibility of any kind of clarity of vision. 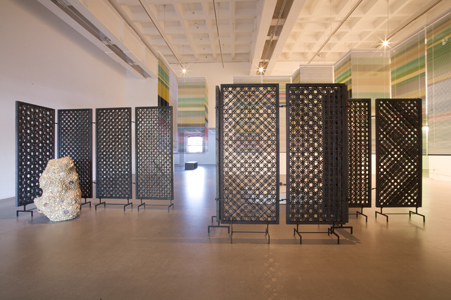 Haegue Yang's installation Holiday for Tomorrow (2007) utilises her trademark motif of the Venetian blind as a means to consider the possibilities of the unknown, as well as of hidden communities. Mariana Castillo Deball's Nobody was Tomorrow (2008), a film visually reminiscent of Chris Marker's renowned La Jetée, presents an abstract narrative set in a library, in which a mysterious object converges past and future. Graham Gussin's Hypnotic/Dystopic/Optic (2009) are a series of works that present the covers of original vinyl soundtracks for renowned dystopian Science Fiction films set on Earth, but set on a wall to rotate at a speed where they are just beyond recognition. Francesc Ruiz's montage UNTITLED (Bristol) (2009) produced especially for Arnolfini's atrium space, envisions a dystopian near-future caused by an economic downturn for businesses in Bristol. 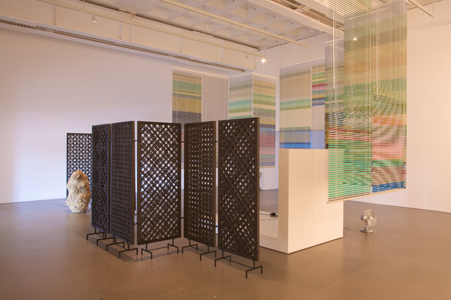 Curated by Nav Haq, Exhibitions Curator, Arnolfini and Latitudes (Max Andrews & Mariana Cánepa Luna). 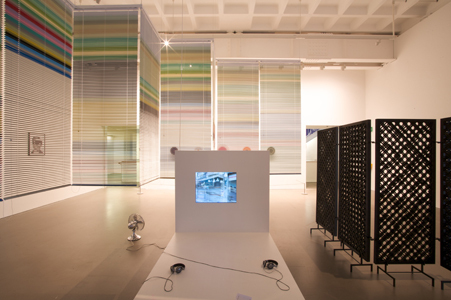 It will be Arnolfini's main summer exhibition in 2009, and will be the first in a trilogy of Sequelism exhibitions, with Part 2 in 2010.